PT Istaka Karya (Persero) - PT IK or referred to as "Istaka" is a state-owned company in Indonesia with principal business in general construction industry. 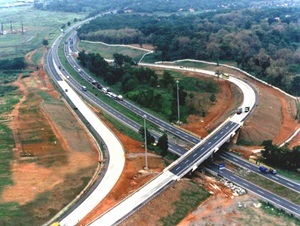 Its business include Construction service, Manufacture, Property, Toll Road Development, and Toll Road Concession. According to information found in the Company's website as cited by JobsCDC.com, the Company originally registered as PT Indonesian Consortium of Construction Industries (Persero) or PT ICCI, a consortium company consist of 18 major construction companies in Indonesia. In 1986, this consortium company was officially organised under the name of PT Istaka Karya (Persero). Headquartered in Jakarta, Istaka runs its business through 2 operation divisions, namely Operating Division I (Sumatera, Kalimantan, Banten, DKI Jakarta, West Java, Central Java and DIY) and Operation Division II (Central Java, DIY, East Java, Bali, NTB, NTT, Sulawesi, Maluku and Papua). Its head office is registered at Graha Iskandarsyah Lt 9 Jl Iskandarsyah Raya No 66, Kebayoran Bara Jakarta Selatan. Minimum graduate with Bachelor of Civil Engineering from a leading university (PTN/PTS). Minimum graduate with Bachelor of Accounting from a leading university (PTN/PTS). JobsCDC.com now available on android device. Download now on Google Play here. Please be aware of recruitment fraud. The entire stage of this selection process is free of charge. PT Istaka Karya (Persero) - Management Trainee Program Istaka January 2018 will never ask for fees or upfront payments for any purposes during the recruitment process such as transportation and accommodation.